Doesn’t every city in America have a Tony’s Pizza Parlor? Mine did. I have no idea if the proprietor was actually named Tony, but the restaurant was a fixture in my home town for decades. The pies were big and chewy rubber platters sporting a layer of glistening grease atop industrial mozzarella cheese. Heavy tomato sauce and dried oregano were also applied liberally. And I loved every bite. Frankly, everything at Tony’s tasted the same— the gummy spaghetti and meatballs, the soggy fried eggplant parmesan, and each variety of pizza. A favorite family restaurant, Tony’s was the only game in town when it came to pizza. My pizza IQ rose significantly when I moved to Italy. The neighborhood pizzeria had a large glass window through which a tiled wood-fired oven glowed. 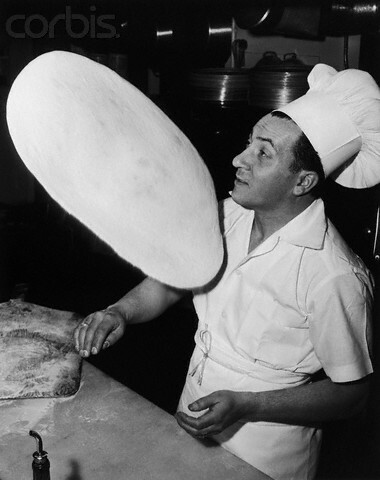 The pizzaiolo put on a show while preparing the dough every morning. I watched him through the restaurant window regularly, and it was love at first sight. Our eyes met over clouds of flour as I watched him knead the soft spheres of fresh dough for their numerous rises. It’s difficult to say whether I was moony-eyed over the adorable Enzo or if it was the yeasty perfume that had simply gone to my head. His pizza was delicious, as was most all pizza I ate in Italy. I was particularly touched when one evening he brought a heart-shaped pizza to my table. I have a photo of it somewhere. Romance aside, pizza is an iconic Italian dish, but today pizza pie is as American as apple pie. The statistical evidence is overwhelming: on average, individuals in the US eat about 46 slices per year—that’s 23 pounds of the stuff. Americans are piggy for pizza. With nearly 65,000 pizzerias in the nation, Americans are gulping down 350 pieces of ‘za every second. The national pizza market, according to Ezine, is a $30 billion industry. Americans are simply obsessed with pizza, which is no surprise. It fits in nicely with that popular American idea of food as fun and fast, as road food or weekend take-out party grub that goes down perfectly with beer or coke. It’s the ideal accompaniment to sports television and makes for easy clean-up in the dorm or man cave. Culinarily speaking, however, pizza’s place in the American diet has been elevated from this stereotype. While the first pizza parlor opened in America in New York City in 1905, pizza today is no longer just a specialty food made by dough-tossing dudes in classic pizza joints. Fashioned by professionally trained chefs, stylish bistros, and home cooks, pizza is currently a highly adaptable food style, a culinary foundation for very good eats. On careful examination, pizza can be the perfect vehicle for nutrition, creativity, and artisanal quality dining. In its most basic form, pizza is a flatbread made of flour and water with Mediterranean origins. 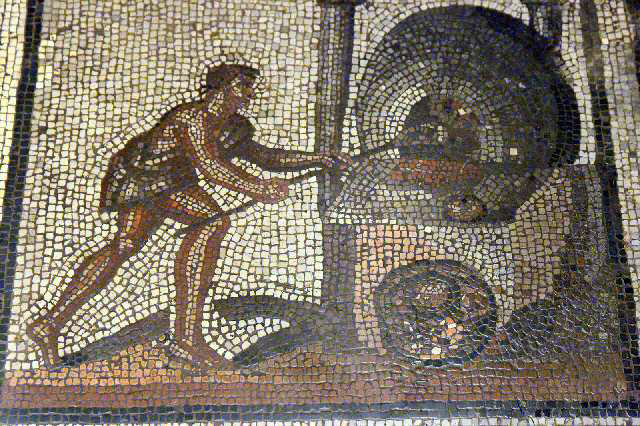 Bronze Age people ate pizza in the Veneto region of Italy. 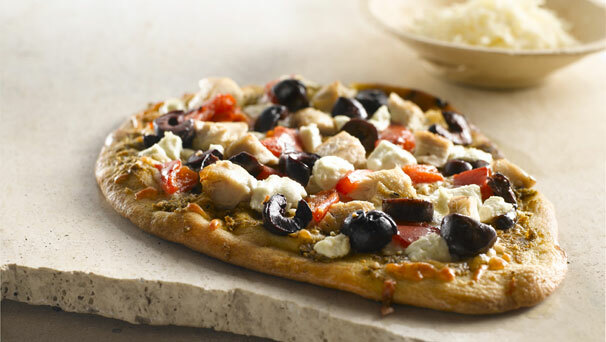 While on military campaigns in Phoenicia and Greece, Roman soldiers consumed a simple seasoned flatbread. During the Middle Ages, peasants topped yeasted dough with herbs and olive oil, and Renaissance pizza eaters experimented with the newly arrived tomatoes from the Mondo Nuovo and cheese made from the milk of the imported Indian water buffalo. By the 18th century, peasants in Naples incorporated the tomato on their flatbread base, selling pizza as street food and eventually in shops along the streets. 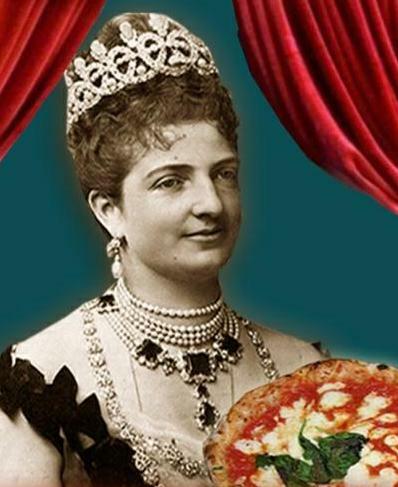 In time, the dish made its way to the Italian aristocracy when, 120 years ago, a pizza vendor by the name of Rafaele Esposito of Naples created the popular pizza Margherita for Italy’s Queen with its tri-colori of the nation’s flag in green basil, white cheese, and red tomatoes. 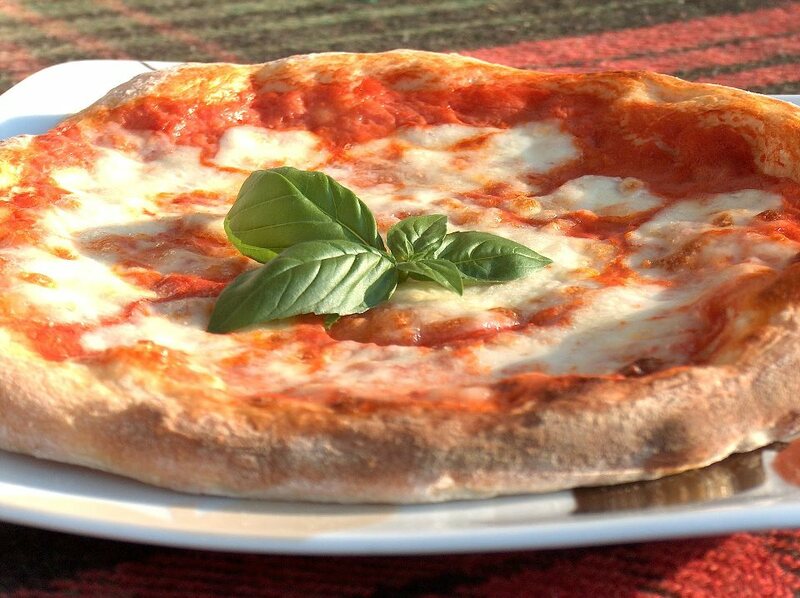 Soon the various regions of Italy created their own signature versions of pizza celebrating local ingredients. With the return of American GI’s after World War II, their penchant for pizza led to parlors in most every Italian-American neighborhood. Styles of pizza reflected a multitude of American regional preferences. So, who is to say what “real” pizza is? With so many genres, it is difficult to know. East coast cities like Boston boast a pizza that rivals the thin-crusted New York style. Many prefer Greek-style pizza with its thick, puffy, and chewy crust served in rectangles or as pies topped with feta, olives, green pepper, and onions. Sicilian style pizza, or sfincione, a doughy square-cut bread pizza topped with cheese and tomato, is baked on a sheet and requires two rises, not the one typical of most American pizzas. Then there is Chicago’s Deep Dish casserole pizza layered between a top and bottom crust and stuffed with pounds of sliced ham, sausage, several cheeses, vegetables, pepperoni, and a rich tomato sauce. Today, nearly every restaurant has a pizza or flatbread selection on the menu. 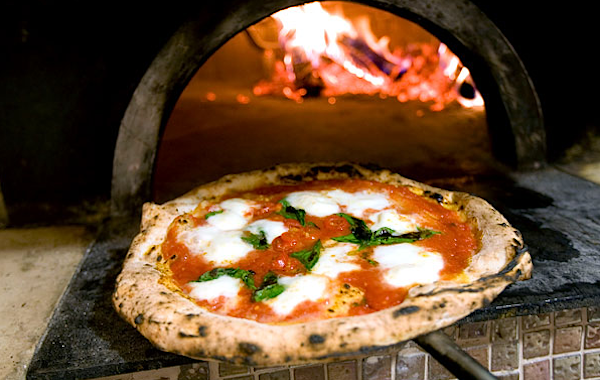 Modern Italian restaurants in America have exquisite pizza ovens that reach 800 degrees Fahrenheit and are fired by carefully selected hardwoods that deliver the charcoal-flavored, thin and crunchy crust desired by today’s gourmet pizza diners. Rustic at heart, pizza is now a culinary tour de force. Pizza has a global fan base that is growing, too. Many nations have adopted their cuisine to include pizza. International variations feature a Mochi-crusted Japanese pizza, a Turkish pizza on a round shell with meat sauce called lahm bi’ajin, and a Korean adaptation with kimchi and bolgogi toppings. In Europe there is the French Provencal pissaladiere with cooked onions, anchovies, and olive oil, along with a popular German flammkueche, a thick circular dough topped with crème fraiche, onions, and bacon. The potential combinations of bread-based crusts and toppings is stupefying. And home cooks can now leap right into the fun. No need to rely on pre-made frozen pizza, delivery, or take-out. The resources to make a quality pizza in tune with individual dietary preferences and tastes is infinite. There are really just three parts to pizza creation— crust, toppings, and heat source. In selecting toppings, consider the meal. 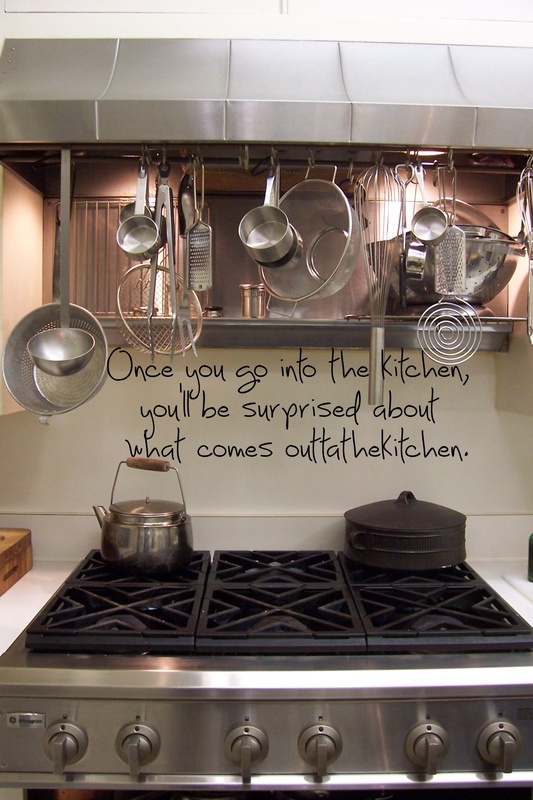 Are you making an entrée or an appetizer? Or perhaps you want to stretch a meal of salad or soup with a crusty slice. And how about breakfast? Not the usual cold leftover slice, but a fresh pizza adorned with scrambled eggs, sausage, ham, bacon, and some crispy potatoes. The leftovers from last night’s BBQ chicken work well, too. Go vegan and make seasonal vegetables like asparagus, leeks, and snap peas the stars. Take your inspiration from international cuisines and think Mexican with taco-themed toppings or Indian Tandoori curried chicken and paneer pizza. For a dessert pizza, top a pate brisé crust with sweet pastry cream, seasonal berries, kiwis, and powdered sugar. If you love cheese, combine feta and lamb, a local goat cheese with baby spinach and arugula, or fontina with mushrooms. Smear shells with pesto, truffle or chile oil, anchovy paste, or a spicy salsa. Bake fresh pizza at home at the highest temperature your oven can go. Commercial ovens bake at well over 500 degrees, and wood-fired ones crank at nearly 800 degrees Fahrenheit. Place the pizza in the top of the oven on a pre-heated pizza stone, and it will cook in 10-12 minutes. An excellent way to enjoy pizza is to use the outdoor grill for the best direct heat delivery. Bake dough directly on the rack for 5-10 minutes, then flip. Fill the shell with toppings. Close the lid and grill another 5 minutes until the cheese is melted and bubbling. Pizza also cooks well in a cast iron skillet on the stovetop or inside the oven, and if using pre-baked crusts, just stick the pizza under the broiler for 2 minutes. Pizza is a perfect food with universal appeal. It is an attractive and creative option for home cooks who want to prepare a convenient meal. Sink your teeth into a great crust loaded with flavor, texture, and nutrition. Bring the elegance of pizza into your own kitchen—without the box. This is an easy, shortcut pizza dough that produces a crispy crust when made on a pizza stone and can “practically be made in the time it takes to heat the oven.” Bread flour works extremely well, but you can substitute all-purpose flour if you wish. The bread flour, however, promises a somewhat chewier texture. This recipe makes 2 pounds of dough, enough for two 14-inch pizzas. Transfer dough to lightly floured counter and knead by hand into smooth, round ball. Place dough in a large, lightly greased bowl; cover bowl tightly with greased plastic wrap and let rise at room temperature until doubled in size, 1 to 1 1/2 hours, before using. For a mellow and melt-in-your-mouth cheese pizza with a sweet and salty bite, try this simply prepared topping. It’s bursting with flavor. Heat 1 teaspoon olive oil in a large nonstick skillet over medium-high heat; add pancetta, and sauté for 2 minutes. Add onions, thyme, salt, and white pepper; cook 25 minutes or until onions are browned, stirring frequently. Brush each prepared pizza crust with 1½ teaspoons oil; top each with half of onion mixture. Sprinkle half of cheese over each pizza. Bake at 475° for 9 minutes or until crusts are crisp. Cut each pizza into 8 wedges. Garnish with thyme sprigs and sprinkle with black pepper, if desired.